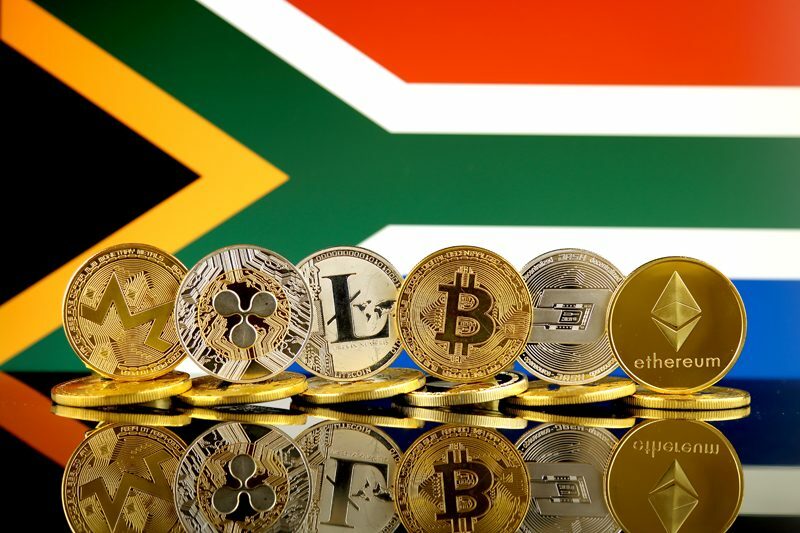 South Africa is termed the most crypto friendly country in Africa according to the world payment report by French banking group BNB Paribas and IT Company Capgemini. South Africa is the front runner in crypto regulation, adoption and development. The transition of African countries into a digital continent with a fast adoption of modern technologies, especially in digital methods of payments, has made the embrace of the cryptocurrency notable. South Africa is the hub to many Bitcoin ATMs and exchanges related to digital currencies such as Luno that allows her citizens to buy and sell crypto coins in exchange for Rands. The Central Bank of South Africa is also reviewing regulations concerning cryptocurrency and its technologies in a manner whereby there would be no premature regulation that could have negative consequences suppressing the progress and innovations in the industry. South Africa also has a blockchain academy for training and consultation on blockchain and cryptocurrencies. Kenya is ranked 61 in the World Bank ease of doing business out of 109 countries in the world. It was previously ranked 113th (2005-2017). This improvement is as a result of the Kenyan government’s open door policy to consider numerous forms of investment to boost her economy of which cryptocurrency is part of. Kenya is a technical giant in Africa and embraced the nickname “silicon savannah” as they now look forward to exploring technologies such as artificial intelligence and blockchain. In May 2015, the Kenyan Information Minister, Mr Mucheru set up a team to look into the employment of the blockchain technology as a method of keeping records by the government to address the issue of land grabbing which is a frustration in the buying and selling of land in the country. Mr Mucheru is also an advocate of the Bitcoin despite his country’s central bank describing it as Ponzi scheme. Similar to the cryptocurrency is Kenya’s M-Pesa which is virtual money developed by a telecom giant where customers can use Mpesa to deposit, transfer, pay bills or withdraw money between the Mpesa account and a bank account. Mpesa is pegged directly to the Kenyan shilling (KES) and Vodafone, a telecom giant own it. Trading or converting Mpesa can be done with a mobile phone or with an ATM. Despite the Nigerian Apex bank and the Central Bank of Nigeria banning any transactions on cryptocurrency in 2017, the report did not stop a lot of investors trading in cryptocurrency, notably the Bitcoin. A senior director in the central bank of Nigeria, Musa Jimoh, later on, made it clear to the media that the CBN has no legal power to regulate any cryptocurrency exchange. 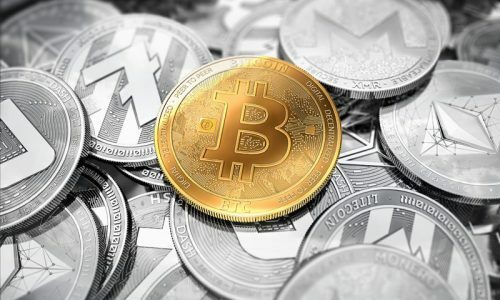 Nigeria is, however, indicating interest in regulating cryptocurrency particularly in areas of trading safely when making transactions. Among all African countries, Nigeria has the highest cryptocurrency adoption rate. The country records $10 million as a daily trade volume with more than a dozen cryptocurrency exchanges. The CBN not legalizing the cryptocurrency activities do not stop investors. In fact, groups such as The Blockchain Nigeria Users Group (BNUG) is a non-profitable industry that is championing the voice in blockchain technology education, development, adoption in Nigeria and across Africa. They promote the advocacy of the cryptocurrency in Nigeria with representatives in eight states across the country namely, Lagos, Abuja, Port Harcourt, Ibadan, Kano, Abeokuta, Kaduna and Akure. Even Paxful inc. announced that Nigeria, the largest economy in Africa experienced a 60 per cent rise in cryptocurrency transactions. In October 2018, Binance Uganda launched local subsidiary in Uganda and a total of 40,000 signed up in the first week. Binance is the world’s largest cryptocurrency exchange. Uganda has a high number of unbanked people in the world. 75 % of Ugandans don’t have access to a banking system. The Binance new unit in Uganda is in a partnership deal with an unnamed local mobile payment provider that will convert Uganda’s legal tender to cryptocurrencies. This partner is expected to bring liquidity in the Ugandan economy which is lacking. A major factor that drives this rise in adopting the cryptocurrency by Ugandans is the issue of remittance. Nearly 10 percent of Ugandans receive remittance from Kenya and Europe and these transfers attract high conversion fees which made Ugandans consider the cryptocurrency. Another factor which has made Uganda a crypto friendly country in Africa is its unemployment rate. Jobless youths are now hoping to key into the employment opportunity the crypto market can benefit them especially in crypto trades and crypto mining technology. Ugandans can easily buy cryptocurrencies such as the bitcoin by simply topping up their mobile phones. Zimbabwe has been facing severe cash shortage since 2016 as banks are limiting how much cash can be withdrawn from accounts. Despite workers earning their wages, they have weekly withdrawal limits ranging from $20 to $40. In view of this, the Zimbabwean government has put in place measures to replace their legal tender with the dollar and the South African Rand which the citizens adopted. This measure still couldn’t solve the issue of cash shortage. Even the bond notes intended to replace the dollar could not solve the problem probably due to the fear of inflation. People prefer the dollar or a mobile form of payment called the EcoCash. The Zimbabwean finance minister is of the opinion that cryptocurrency could help Zimbabwe’s cash shortage that has been going on in the last two years. The finance minister promised to facilitate the drive towards the use of cryptocurrency as an alternative measure to restore cash flow in the economy, despite the Reserve Bank of Zimbabwe earlier disapproving cryptocurrency in the country. 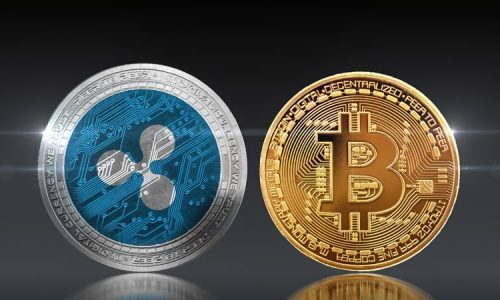 However, there was a dramatic reversal of the ban to transact cryptocurrency in the country and this had led many to gain access to coins to help them access financial services that banks in Zimbabwe could not provide. Such services which the cryptocurrency adoption can offer include payment of house rent. Another is in the payment of fees in studying abroad. Another cryptocurrency friendly country in Africa is Ghana. The Finchcoin is the pioneer and first official digital currency in Ghana. The Finchcoin proposes to build, in the coming months, a crypto exchange platform, crypto bond and a crypto mining station. In Ghana, they can also buy, sell and trade bitcoins in a regulated, secure and compliant method using the AfriCoinx, a digital asset exchange. Bitcoin can be bought or sold using the local currency called the Ghana Cedis. Funds can also be deposited using Mobile money. Dash has made cryptocurrency even friendlier by adding their crypto to the Ghana exchange, the eBitcoinics. The Ghana-based cryptocurrency exchange offers its users trading pairs for minor coins such as SmartCash and global reserve currency and notable cryptos such as Bitcoin, Ethereum, Litecoin and the BitcoinCash. With the Dash, users can even book for selected hotels in Ghana, and can purchase goods in selected stores across the country. In 2016, Senegal prospected to become the first African country to release a cryptocurrency based on her national currency. Senegal introduced the eCFA, a digital currency that will be jointly developed by Bank Regionals de Marches (BRM) and eCurrency Mint Limited. 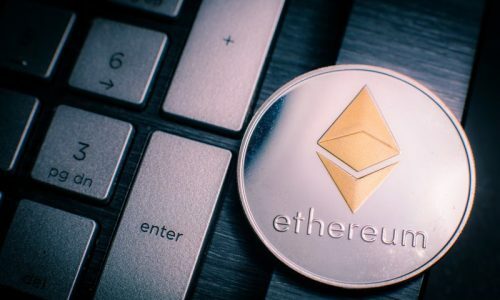 The currency was announced to be centralized which critics said it violates the policy of the cryptocurrency decentralized structure. The BRM bank CEO, stated that the digital currency backed by their banking system and the Central Bank is the safest and most secure approach to enable a digital economy. Due to the cryptocurrency and digital currency free access in Senegal, In June 2018, the popular Senegal descent/ American hip hop icon Akon unveils plans to create his own cryptocurrency building tagged ‘crypto City’ in Senegal which will trade exclusively in his digital currency called AKoin. The city will be exploring the blockchain technology which the singer believes will enable Africa to become less dependent on their government in the nearest future. Thanks to the friendliness of the Senegalese government’s view on the digital economy. Botswana is another cryptocurrency friendly African country. After they introduce the Bitcoin Local Community for Bitcoin cloud mining, the multi-level marketing scheme has been a key driver of the Bitcoin adoption in Botswana. As of December 2017, there was no Bitcoin exchange in Botswana, but investors turned to the South Africa exchange such as the AltcoinTrader, which allows direct bank deposits. Belfrics, an exchange in Kenya also announced that they will be launching their hub in Botswana. This means that users can buy Bitcoins in Botswana using National bank transfer, cash deposit, cash by mail, Paypal, Webmoney, Moneybookers, or Neteller to transact Bitcoin.